It’s Exactly Like a Choose Your Own Adventure Book. But In Real Life. In South America. You remember those books. The ones where you got to make a choice at pivotal moments in the storyline thereby creating your own ending. What if your travel could be like that? Because it all depends on your interests. There’s no need to dislike ‘organised tours’ that treat you like just another number on the bus any longer. Our Custom Travel Packages are just like those books, but the key moments are the tours you decide to take to make your trip really special. You see the travel packages themselves are only the framework. They set the scene of how long to spend in different places and some even include your flights between different cities to make this all work. But as well as discovering the best of each place, you have the power to choose an excursion in most cities to make your experience of it even better. It could be learning the secrets of cooking ceviche in Lima OR discovering the pre-colombian historical treasures as you wander through the acclaimed Larco museum. Deciding between seeing the beauty of Rio de Janeiro from above with the 360 degree views from the iconic Sugar loaf mountain cable cars OR exploring the history and stories of this city on foot and stopping at places like the unique steps of Escaleron. Taking a Spanish class from local villagers in Peru’s Sacred Valley of the Incas OR getting lost in the less frequented but always incredible landscapes of the Maras Salt Plains or the Inca terraces of Moray. The world is too damn wonderful to only see a ‘sanitised view’ of it. And there’s always more than one way to explore each amazing place in South America. You should have the power to make your trip your own. Because all travellers are unique. Every single one of you is different and wants different things from your experience. What one person loves, another one necessarily won’t. You stopped going on ‘whirlwind style tours’ with all the ‘tried and tested highlights’ a few years ago because they just didn’t do it for you. You’re not into ‘cookie cutter’ or ‘run of the mill’ when it comes to most things. And the good news is your South America travel does not need to be ‘one size fits all’ either. You can ‘create your own experience’ of South America with a Custom Travel Package. You can choose the level of accommodation that matches your comfort level. A Custom Travel Package gives you the support you need on the ground and in Australia should anything go wrong, without feeling like you’re being baby sat or hand held through countries. You can truly discover South America for yourself. All without compromising your safety or comfort. Do South America Differently With A Custom Travel Package. And as an explorer, you want to do more than snap a few pics of some cathedrals, city squares and monuments on your quick 3 hour city tour. Choose Your Own Adventure In South America Here. 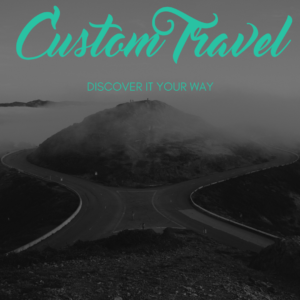 Check out our range of Custom Travel Packages Below.